January | 2015 | OhJoy & Scootee!! 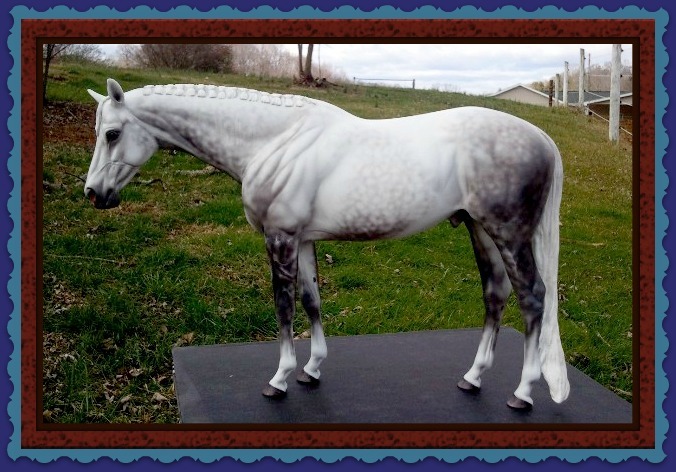 PositivelyPerfectPerformance (www.positivelyperfectperformance.com) is still on-line along with all the articles and BLOG posts about showing model horses in performance. OhJoy Farms (www.ohjoyfarms.com) is also still on-line with many articles about showing your model horses in halter & performance. This lovely face belongs to McCloud…my Knightly Cadence Morgan resin sculpted by Carol Williams and painted by Kathy McKenzie. You can just tell from “the look on his face” that he has been “cooped up” in the barn for a few days because of bad weather and has just been turned out to work-off some of the excess energy…and he’s having FUN!!!!! The term “western riding “ is used to describe both a “style” of riding horses (with western tack) and a specific “horse show” class. 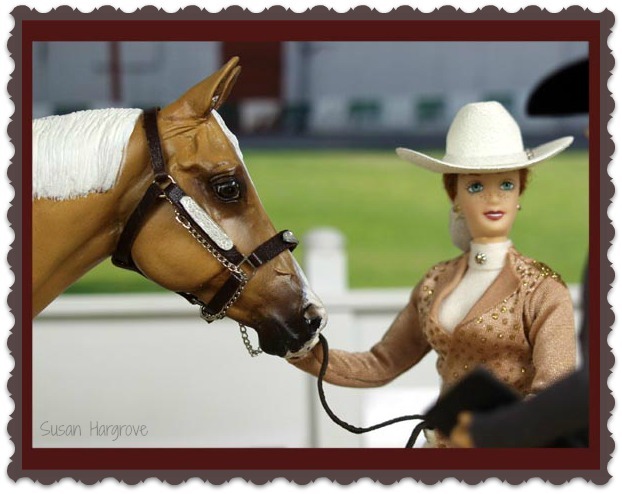 The “western riding” class is very popular in the “model” horse show world as an entry in the “Other Western Performance” class. “Western Riding” in the “real” horse show world is truly an amazing class to watch. I think this class is the closest thing the Western “horse show” world has to dressage in the “English show” world. When watching the top entries you will not see the rider change position or give the horse any cues during the performance. 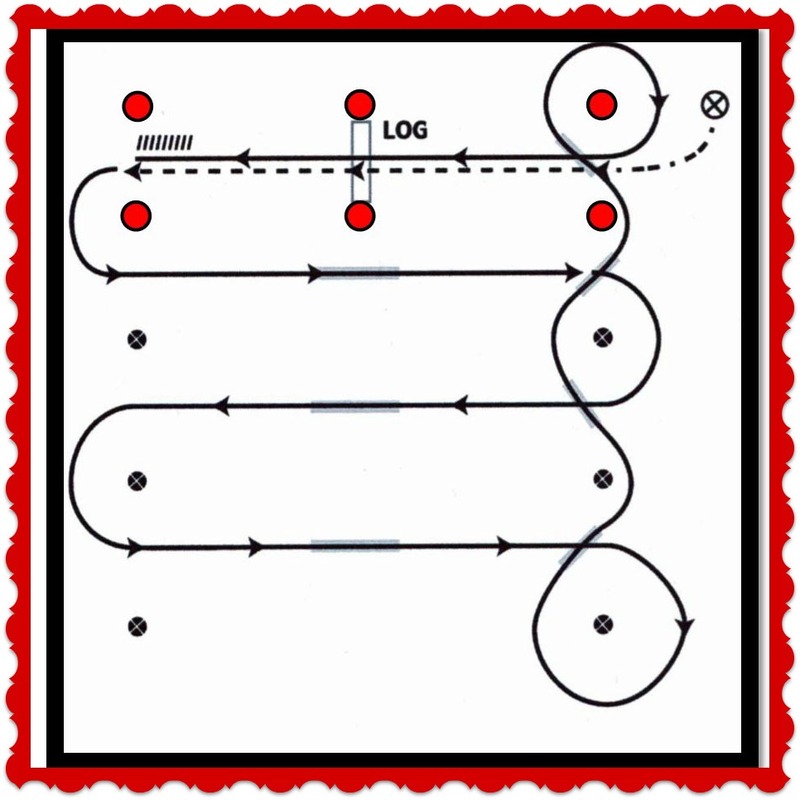 These top horses will perform with the same stride and cadence for the entire pattern. 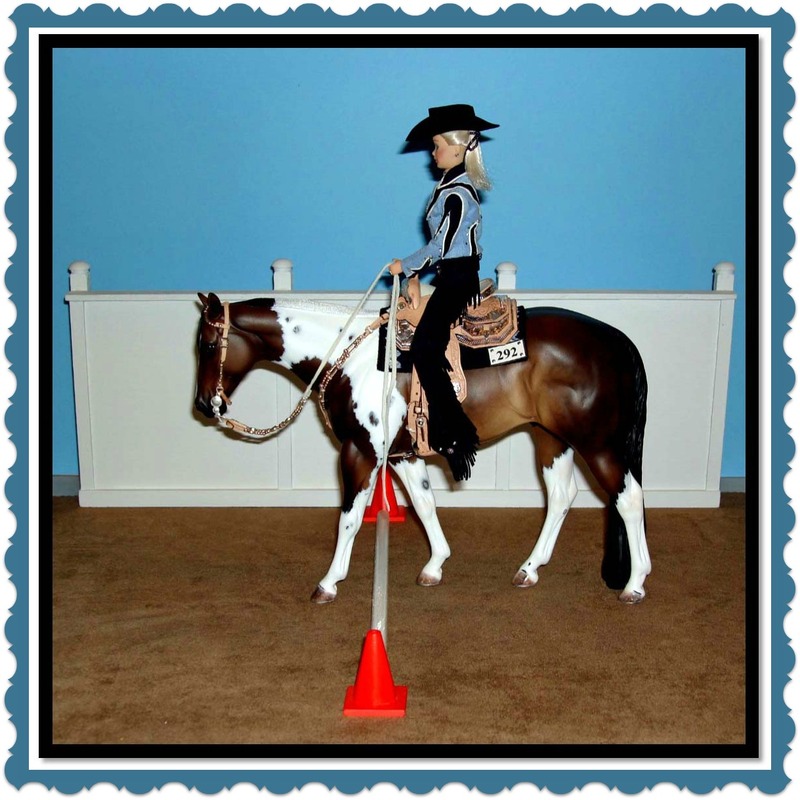 The ground pole in a “western riding” class should be ALL white…with a cone at each end. The cones at the ends of the ground pole are actually part of the lines of cones that make up the patterns. So it is very important that the ground pole has a cone at each end. The cones CAN be colors other than the classic “traffic cone orange”. 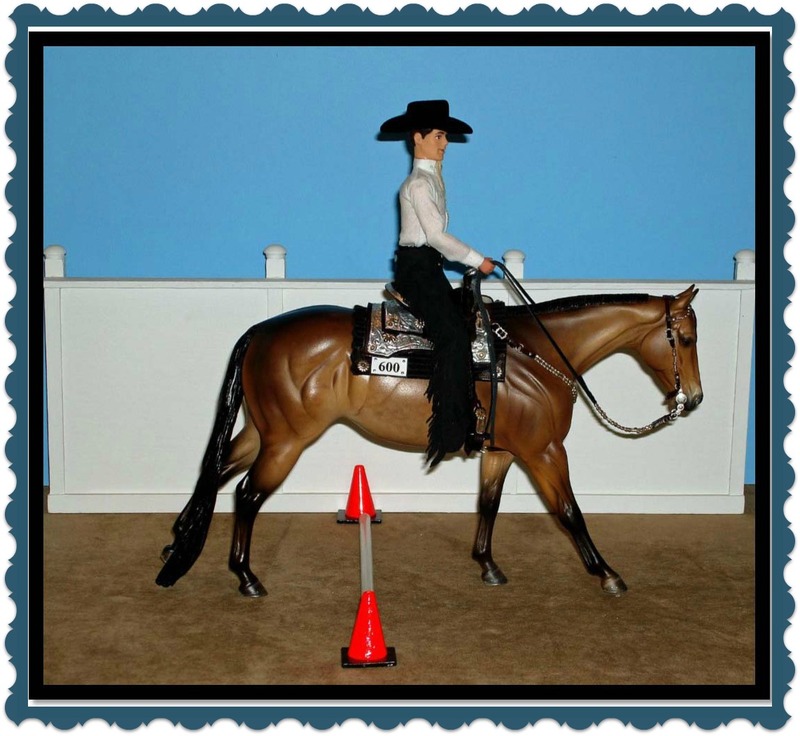 I have seen white cones and green cones used in “western riding” classes. Welcome to OHJOY @ SCOOTEE 2015!! For those of you new to my websites and BLOGS…the OHJOY refers to OhJoy Farms…my model horse stable. The SCOOTEE is my “nick-name”!! So this BLOG is going to have both “information and hints” about showing model horses in performance…and “personal” items I think would be of interest. The “model horse” world is such an adventure. I had no idea what I had stumbled on when I looked on-line for “model horses” back in February 1998. I was totally “blown away” by what I saw…the realism just truly amazed me. 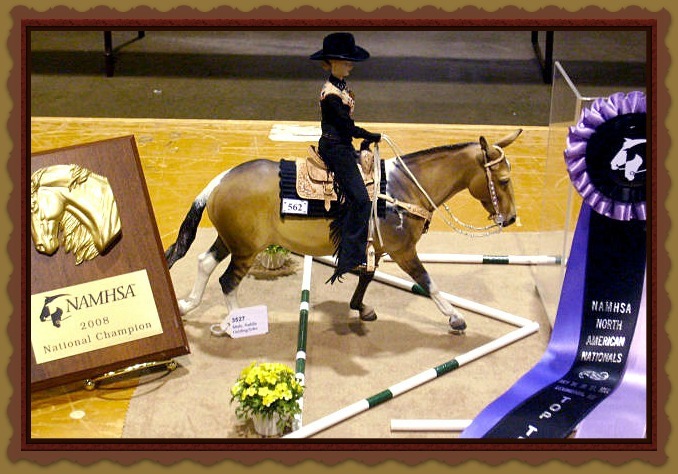 I have grown to love our “miniature equines” along with the cows, dogs, goats, sheep, dolls, tack, props, etc. that make up this creative miniature world. 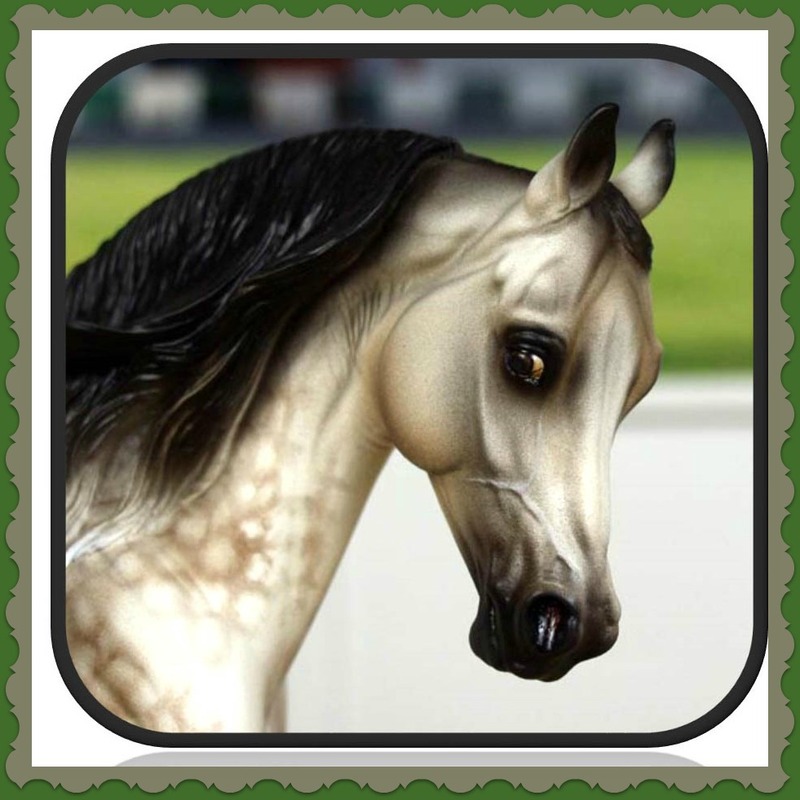 I hope you’ll join us as we study all that goes into creating the winning set-ups for showing model horses.